A day after news emerged that video streaming website YouTube now gets a colossal four billion video views a day, rival Vimeo announced it has undergone a major overhaul of its site and will begin rolling out the changes to users over the next few weeks. The website posted news of the changes on its staff blog on Tuesday. “Today is a big day — one of the biggest in the short-ish history of our small-ish company,” Vimeo’s Andrew Pile wrote in the post. He goes on to explain that Vimeo developers set out to improve the site in a number of ways. These included putting more focus on users’ videos, with a video page featuring a cleaner interface. The video display size will be larger than before and without any distractions, such as the list of alternative videos running down the right-hand side. They also wanted to speed things up for users and make the site more fun to use. “We simplified. We optimized. We organized. We spiffed and speeded things up. We packed it with features that help you share, connect, and learn. We made sure it reminds you that taking video should be a blast and a half. Heck, even two blasts,” Pile said. 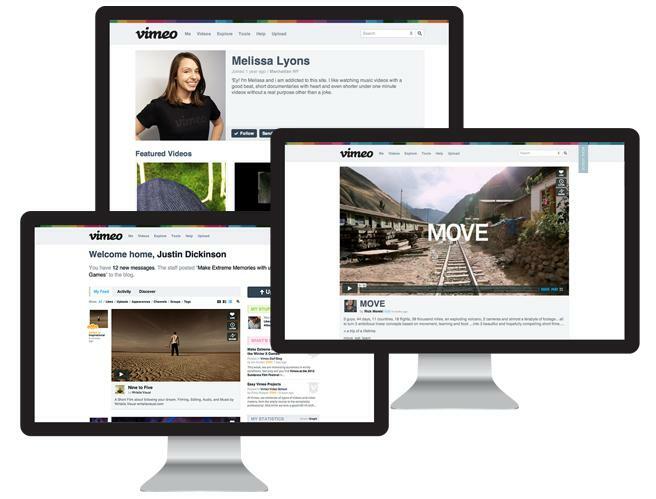 Features in the new-look Vimeo will include improved ways to find videos which appeal to users’ tastes, the ability to upload multiple files at once, and improved privacy controls so users can organize exactly who can watch what. The site is also introducing ‘following,’ enabling users to easily follow people, channels and tags, while the inbox is being replaced by a feed, making it easier to quickly scan recent uploads. Around 20 other new features are listed on its website. The new site is currently in beta although Vimeo is giving some members the chance to try it out. Take a look here for more information.